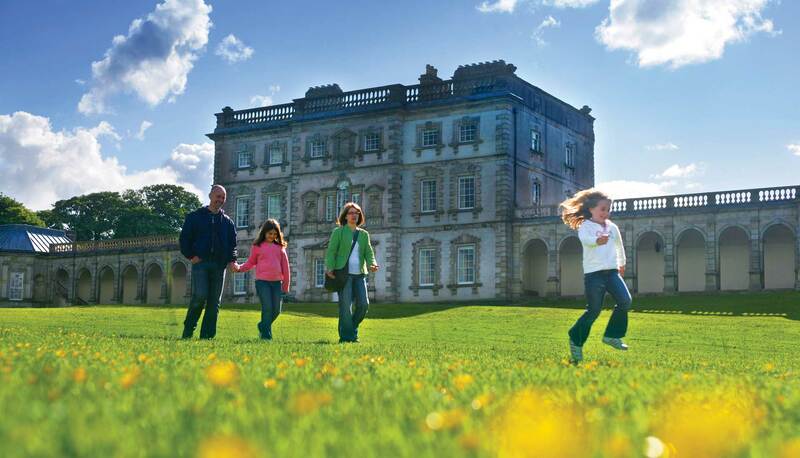 Florence Court mansion, gardens, visitor centre and forest parks walks provides a perfect backdrop for a day exploring. 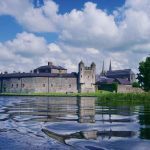 Located around eight miles from Enniskillen, County Fermanagh (via A4 Sligo road and A32 Swanlinbar road and 4 miles from Marble Arch Caves). The house and demense, formerly the home of the Earls of Enniskillen (Cole Family) is one of the most important Georgian Houses (18th century) in Ireland, and holds a fascintating collection of Irish Furniture and some of the best Rococo plasterwork in Ireland. You can enjoy glorious walks around the grounds which include a pretty walled garden and holiday cottage. Other interesting features include a sawmill and ice house. A much loved feature of the estate, a thatched replica Summer House, is hoped to be rebuilt for Summer 2015. In the gardens you will find the famous Florence Court Yew – reputedly the ‘parent’ of all Irish yew trees. ‘Living History Tours’ provide an entertaining insight into 1920s Florence Court and there is also a children’s playground and picnic area. Florencecourt Forest Park also provides visitors with access to 15 km of trails which have been knitted out with new easy to udnerstand signage. The trails suiot a variety of abilities. There is also a bridle trail for horse riders. 2017 Northern Ireland Tourism Awards, Outstanding Visitor Experience, Commended. Visitor Centre Opening times subject to change.